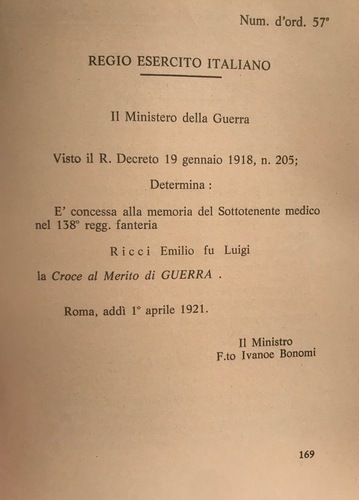 Emilio (Ludovico) Ricci, son of Luigi Ricci and Giovanna Celeste1 was a young doctor who perished during the First World War in the Alpine little Church of Doberdò del Lago (Friuli-Venezia-Giulia) where he stayed until the end, despite having known about heavy bombing, to look after his patients. 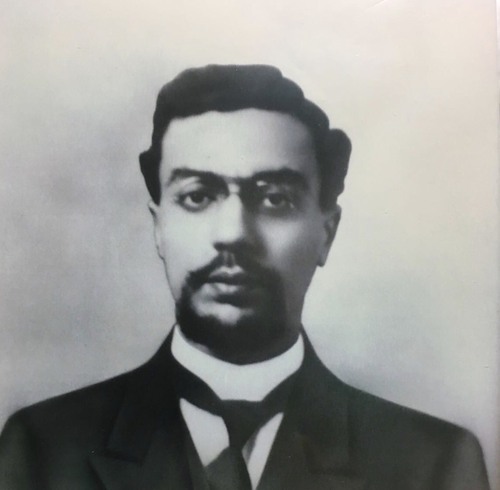 He was born in Torremaggiore on 17 January 1891 and he died on 27 August 1915. He graduated in Medicine from the University of Naples2. His selflessness was particularly relevant since that period in his life. 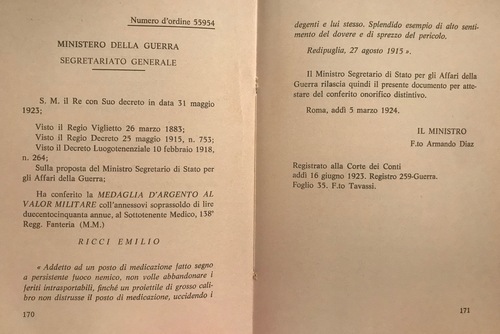 For instance, he volunteered in the nearby hospital of La Maddalena to treat all the patients that got injured from the earthquake of Sicily and Calabria3. He translated ancient Greek and Latin texts and he was able to speak many languages. He got the War Merit Cross by the Minister Ivanoe Bonomi4 and the Silver Medal of Honor by the general Armando Diaz5.